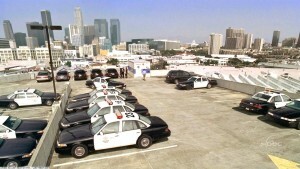 The LAPD parking lot where Ana Lucia was met by her mother (”Two for the Road,” Ep. 2×20) was the roof level of the parking structure at the Dole Cannery complex (753B Iwilei Rd. ).